the best is yet to come...: OUT with the Old.....IN with the...uhh not so Old. OUT with the Old.....IN with the...uhh not so Old. 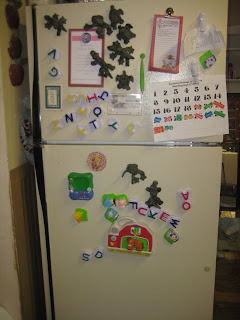 This is our old fridge. It has done a good job for us over the last couple years. 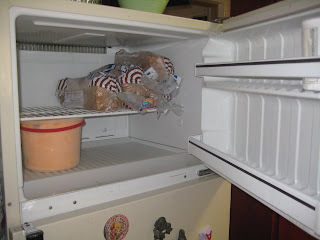 It has kept out milk cold and our ketchup frozen. It has endured our squeezing and squishing everything inside it just to get the door closed. It was brave when it was time to defrost the shoe-box size freezer. At which time I would literally hammer and pick the ice inside to make the process go faster. It has been the best it can be. This is our new fridge. 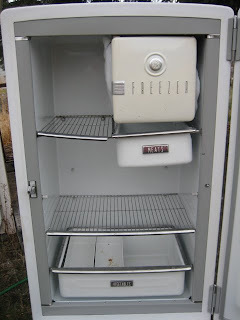 The Freezer! We have a freezer. I had to go buy a huge thing of ice cream just to feel the joy of putting it in there. See how excited Savannah is? This is a big deal at the Stanek house! I can't believe you had such a small freezer. I would go crazy. You will love having the extra space. 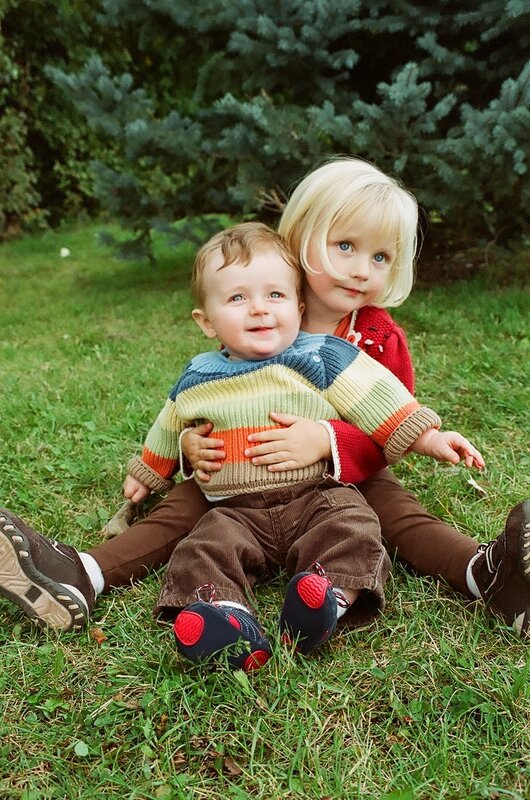 You also asked me how old my kids are. Dwain is 5, Danika almost 4, Damon is 14 months, and Devon is a month. What were we thinking? I'm so happy for you. I know that you two will be really happy together and hopfully have many wonderful years. I am happy for you! But kind of sad too! The old fridge will be missed, if by no one else then me. It had character and endurance. Who knew a fridge could be so brave and last so long. I will miss old frosty! What a wonderful fridge!!! Isn't it amazing the things that bring us such joy!!!! Sister Curtis asked me to get the number stencils back to her ASAP... so, if you are done with them, let me know. Thanks!!! 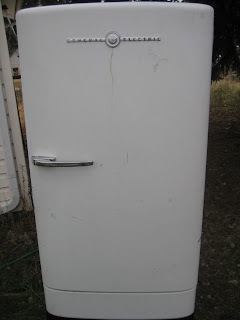 The old fridge sure hung in there for a LONG time ;) Let's hear some mad props for the retiring fridge hehe. Hey, just found your blog. 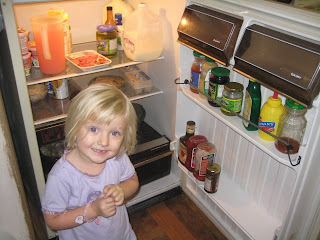 I love the new fridge, if it is newer than the old then it is new! Hey slacker! I miss your posts. :) Let us know what you're up to!! !